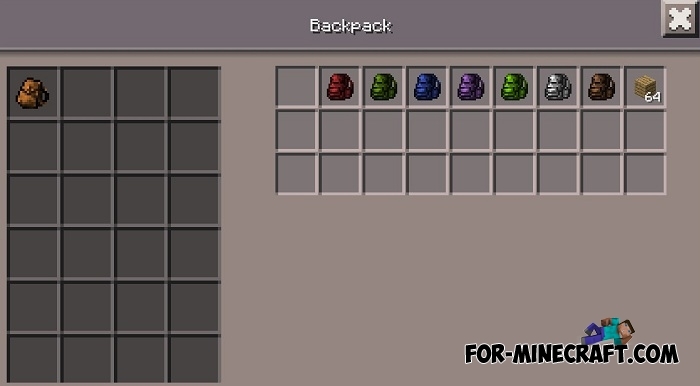 This is a special ported version for InnerCore, currently contains only 4 types of backpacks. What will you do if your inventory is completely filled and you have nowhere to put extra things? Of course, you can craft the chests and gradually move things from one place to another, but it will take a long time. Also there is a special shulker box but its recipe takes time to find ingredients. If you are faced with this situation then you need the Backpacks mod. It adds simple backpacks that can store your items inside. 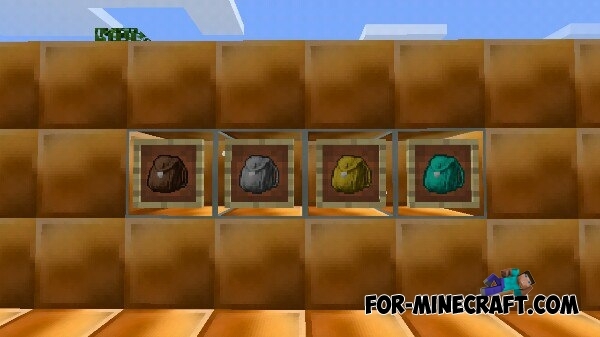 In this case, each next type of backpacks offers more slots. 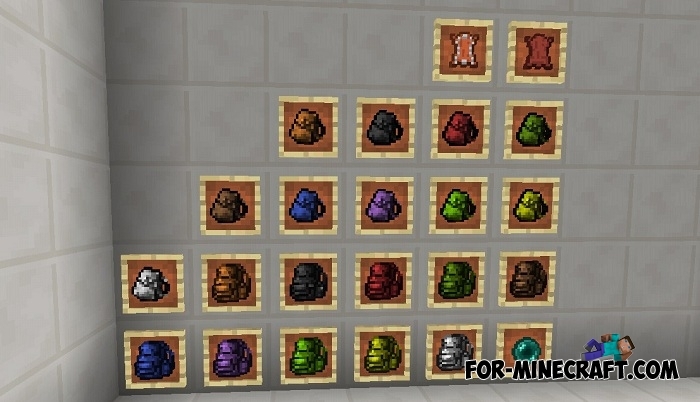 Added the ability to dye backpacks in any of 16 colors. Use dyes to customize your backpack. Reduced errors and fixed slot bug. This mod is developed in the Inner Core environment, which allows you to use it together with other IC mods in Minecraft PE. The rest of the mods can be found by searching, enter the phrase Inner Core and you will see a lot of really interesting modifications. How to install the Backpacks mod?